Hot melt is a membrane which is applied as a hot liquid to a structural deck to create a completely seamless, massive layer. 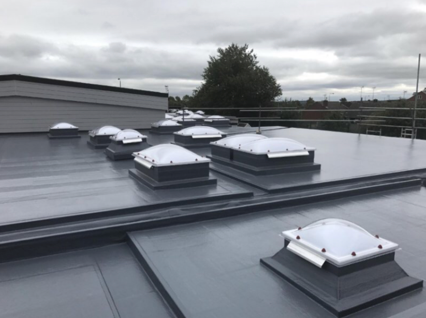 It is suitable for use as the waterproofing layer most new build flat roofing applications, when covered by suitable protection. Inverted roof systems are the most common application of hot melt. The hot melt membrane is laid directly on the deck and insulation is laid on top, weighed down with ballast materials such as 20-40mm gravel or 50mm paving slabs. You should consider using Hot Melt for designing a completely flat roof, to reduce the cost of a flat roof or if there are time restraints.